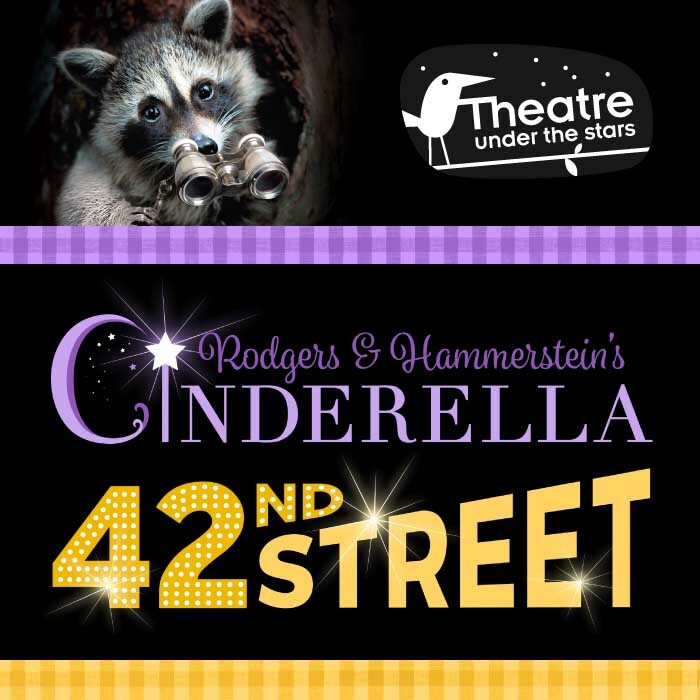 Theatre Under the Stars invites audiences to have a ball this summer with Rodgers & Hammerstein’s Cinderella and 42nd Street, July 4 – August 18, 2018 (performances alternate evenings) at Stanley Park’s picturesque Malkin Bowl. A beloved Vancouver tradition since 1940, TUTS’ 2018 season offers two song-and-dance filled fables – one of Fairy Godmothers and glass slippers, the other of Golden Era glitz and show-biz glam. Two-show subscription packs are now on sale through May 5. Best seats to both shows are just $70 for Adults and $50 for Youth/Children. Subscriptions can be purchased at tuts.ca or by calling 604-631-2877. Single Tickets on sale May 15.